For over 60 years, The Heart and Stroke Foundation has been dedicated to fighting heart disease and stroke and relies on volunteers with a wide variety of skills to help. With their generous contributions of time, commitment and appreciation for the cause, volunteers are vital to the work of Heart and Stroke. Lucy Kloepfer, a dedicated office volunteer, is a shining example of that generosity and commitment. Lucy contributes her invaluable skills and enthusiasm to tasks including accounting support, customer service relations and data entry with efficiency. “Lucy brings her brilliant smile and joyous personality everywhere she goes, has been an absolute pleasure to have in our office.” Says Beth Kerr, Area Administrator. For the last 3 years, Lucy has supported the organization with her keen computer skills and her efforts have grown as she supports so much more. Lucy has a willingness to assist in training and mentoring new volunteers and “has truly grasped the idea of volunteerism and its benefits and has been a great asset in support of the Wellington/Dufferin Chapter.” says Beth. The value of volunteering in our communities is impactful. From supporting the mission of organizations, volunteers, like Lucy, make a difference. 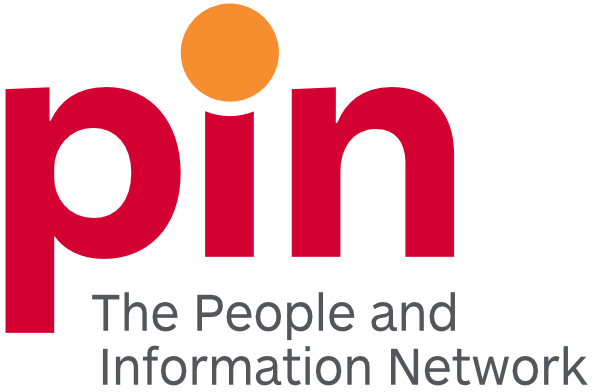 From a sense of belonging and well-being in communities to capacity and leadership, volunteers are the key and the contributions are valuable. Lucy’s gift of time is mutually appreciated, “I enjoy my time spent at the office; the ladies are very friendly and always express their appreciation for the help they receive from the volunteers.” says Lucy. Outside of volunteering, Lucy enjoys travel, gardening and reading. Activities, like volunteering, that bring much joy to Lucy’s life. 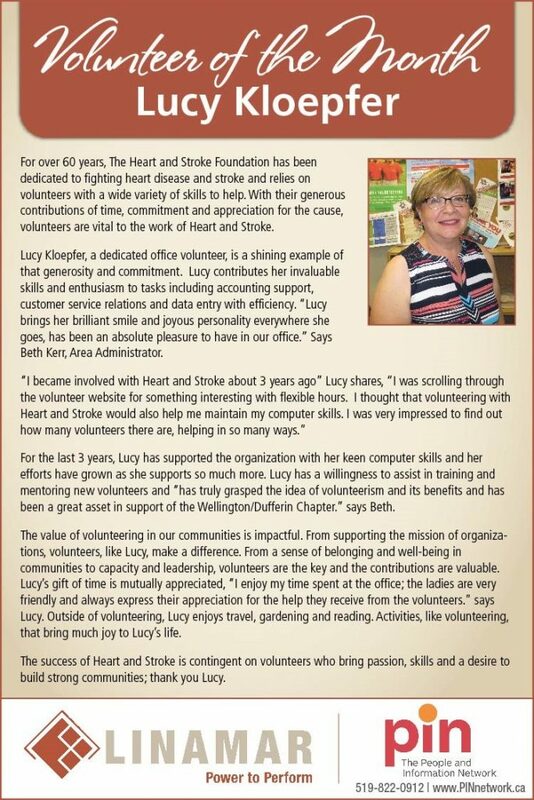 The success of Heart and Stroke is contingent on volunteers who bring passion, skills and a desire to build strong communities; thank you Lucy. Visit the Canada Helps website and donate now!